Getting involved in College is very important. By being involved, students are able to broaden and expand upon their interests. There are numerous ways to be involved around the Saint Rose campus such as clubs, activities, events, and even intramural sports. This past Monday (October 28th), I sat on the sidelines of the Plumeri Sports Complex and cheered on my friends as their intramural flag football team played in the first game of the playoffs. Despite it being bitterly cold and having to keep warm under a giant fuzzy blanket with my friend Tinamarie, we both had fun watching our friends play. Even though they lost in a close game and were only able to play a handful of games during their season, they still had a great season playing amongst old and new friends. 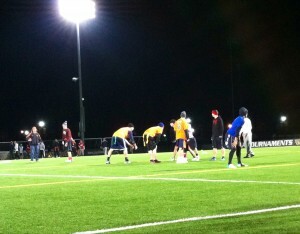 Lima vs Bru Intramural Flag Football game. There is a great variety of intramural sports available for Saint Rose students to participate in, as well as open gym for students who are interested in playing on the less competitive side. 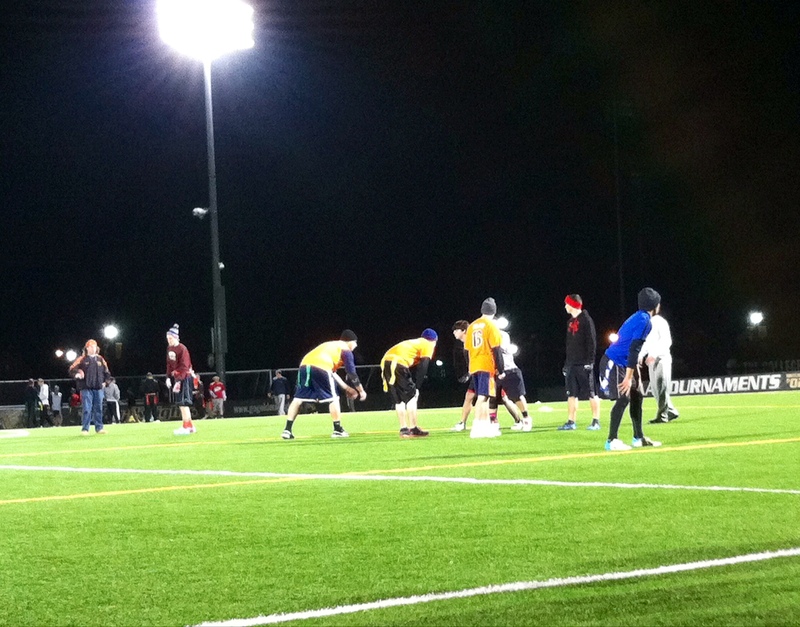 You can access the intramural information here and see what sports are in season and open for registration. It’s completely free and a great way to meet new people. Get a group of friends together, or make a team with new friends and have fun!